What steps can I take to rebuild my finances after a divorce? A divorce can be devastating on your finances. In a divorce, many people will lose half, or even more, of everything they have saved and worked for over their lives. Compounding the matter, a divorce will often come at significant cost to both parties. Despite these financial challenges, there are steps that divorcing spouses can take to quickly bounce back and recover financially post-divorce. Set obtainable goals: It can be easy to become overwhelmed when faced with such daunting goals as paying off your mortgage or your entire credit card balance. To avoid burn out, start by setting small, obtainable goals. For example, set the goal of saving $1,000 or paying $500 more than the minimum payment on your credit card. Once you achieve these small goals, you will feel empowered to tackle an even larger one. Balance your budget: Now is a great time to inventory your income and expenses. Your budget will likely change post-divorce. Take a close look at your expenses and put a freeze on any discretionary spending during the recovery period. With an accurate look at your expenses, you can make important decisions as to whether you should consider a change in job or downsizing. Ensure your accounts are set up correctly: Your finances were likely intricately tied to your former spouse and post-divorce it will be critical to untangle your accounts. Consult with your divorce attorney to make sure your accounts are titled to you alone. Check your retirement accounts as well as any investment accounts, property, and the like. Make a new financial plan: You and your spouse likely had a set of financial goals. These goals may have included saving a certain amount, fulfilling dream vacations, retiring at a certain age, and the like. Now is the time to create your own financial goals. Some of your goals may overlap with old ones, while some may be completely new. Take control of your life post-divorce and identify not just your financial goals, but what you want out of your future. These four steps are just a start to rebuilding your life post-divorce. Contact a divorce attorney for assistance with your divorce and life beyond divorce. How is parenting time decided in a Michigan divorce? Parenting time is the time that a parent spends with a child. Traditionally, parenting time was referred to as visitation in divorce cases. Today, the state of Michigan recognizes that when parents divorce or separate, it is generally in the best interests of their child or children to continue the parent-child relationship. Michigan courts will always award parenting time according to the best interests of the child. Our Southfield, Michigan parenting time lawyers discuss the laws concerning parenting time in the state below. Whether a parent can be expected to exercise parenting time as ordered by the court. Michigan law creates a rebuttable presumption that a parent is entitled to receive at least 25 percent of the parenting time for a child. This means that absent evidence to the contrary, the court will try to ensure the child spends 25 percent of the time with the non-custodial parent. The court may consider the age of the child and any serious criminal convictions of the non-custodial parent, including assault, kidnapping, criminal sexual conduct, and neglect of a child. Orders of protection due to domestic abuse may also lead a court to decline parenting time or require the parenting time be supervised. As a parent, you want to protect your child during a divorce. Parenting time can lead to disputes and scheduling complications so it must be decided with care. Contact our Michigan parenting time attorneys at McGuigan Law for assistance with obtaining more parenting time, modifying your current parenting time agreement, or contesting your ex-spouse’s request for parenting time. Will I receive alimony in my Michigan divorce? 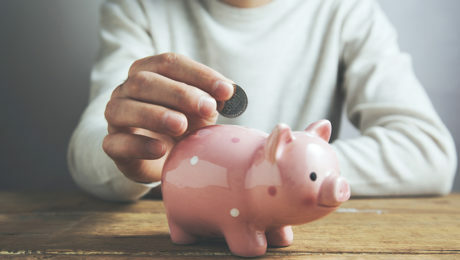 Spousal support, commonly referred to as alimony, can provide a divorcing spouse with much need financial support during the transition to single life. Alimony used to be the norm in most divorces, but in the past decade courts have moved away from awarding spousal support as a matter of routine. Instead, Michigan courts will consider several factors to determine your right to receive spousal support as a part of your divorce. Spousal support may be awarded in one of two ways: you and your spouse can agree to spousal support or the court will order it. The court will issue spousal support on a case by case basis. If requested, a Michigan court will decide spousal support as a part of the property and debt division during your divorce. Spousal support is awarded as a means to ensure both parties are taken care of following a divorce. It may be ordered if one spouse’s share of property awarded is not enough to adequately support him or her. Length of the marriage: The longer you and your spouse were wed, the more likely a court is to award spousal support. The length of your marriage is particularly important if one spouse does not have a career or job skills. The ability of each spouse to support him or herself: If one of the spouses is in poor health or does not possess strong job skills, or if their standard of living will significantly decline with a divorce, the court may award alimony. 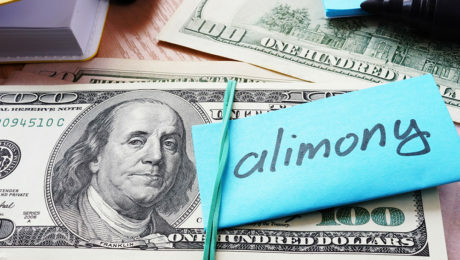 The ability of a spouse to pay alimony: The court will consider the financial ability of the payor spouse to satisfy an alimony award, taking into account ability to earn as well as current income. These are just a few of the many factors a court will consider in electing to award alimony. Spousal support can be awarded on a temporary or permanent basis. Seeking spousal support is complex and divorcing spouses should consult with a Michigan spousal support attorney for assistance with their case. Who will keep the family pet in a Michigan divorce? Pets are an integral part of many families across Michigan. For some couples, determining who will get to keep the family pet is a central concern in the event of a divorce. Divorcing pet parents may be surprised to learn that in the state of Michigan, as well as most of the country, pets are not considered family members under the law. Instead, they are classified as property and will be awarded to a spouse under the laws of equitable distribution. Recognizing the attachment of most pet owners to their beloved animals, the state of Alaska has taken a unique approach to ensuring pets are taken care of when their owners split. Alaska recently amended its divorce statute to require courts take into consideration the well-being of the animal. Even further, Alaskan courts are now authorized to assign joint custody of pets. The provision is truly the first of its kind and family law lawyers in Michigan are now watching to see whether the state could pass similar legislation. Whether there are children in the home who are attached to the pet. Divorcing spouses are often better off attempting to decide issues of pet custody on their own. Your divorce attorney can assist you and your spouse in deciding who should keep the family pet. 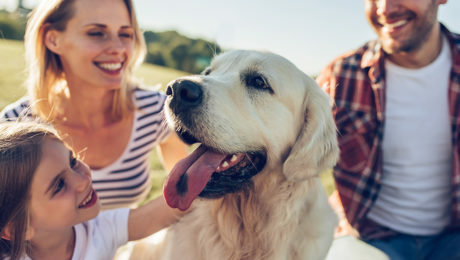 Alternatively, you and your spouse could reach a joint custody or visitation arrangement so that both of you can maintain your relationship with the pet. The court can review and approve of such an arrangement. How will our property be divided during our divorce in Michigan? Making the decision to file for divorce is never an easy one, and often a main concern of divorcing couples is how the family’s property will be divided. Family assets could include the marital home, retirement and pension plans, businesses, rental property, and more. Deciding who should get what is always a challenge, and if the divorce is contentious, it can get all the more acrimonious. Having an experienced Michigan property division lawyer will prove vital to ensure your interests are represented to the fullest extent. The cause of the divorce, including the fault of either party. This list is not exhaustive and a court can consider other factors that it finds relevant under the circumstances. Not all property will be subject to equitable division. 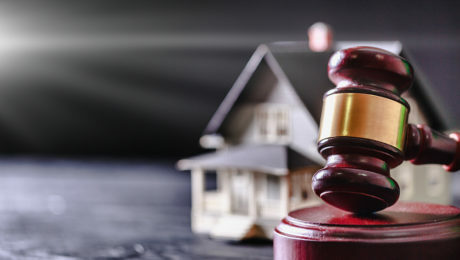 A vital step towards dividing your family property will be determining what property is marital, and subject to the laws of equitable distribution, and what should be considered separate property. In the event of a divorce, separate property will go back to its individual owner. Marital property includes any assets or property acquired during the marriage, which may include homes, cars, furniture, artwork, savings accounts, retirement accounts, and more. Separate property, on the other hand, is property earned or received before the marriage or an inheritance received during the marriage, but kept in a separate account. Property division is a complex and high-stakes matter, so consult with a divorce attorney as soon as possible to protect your legal rights.